Tödliches Spiel in Hongkong … in Munich! 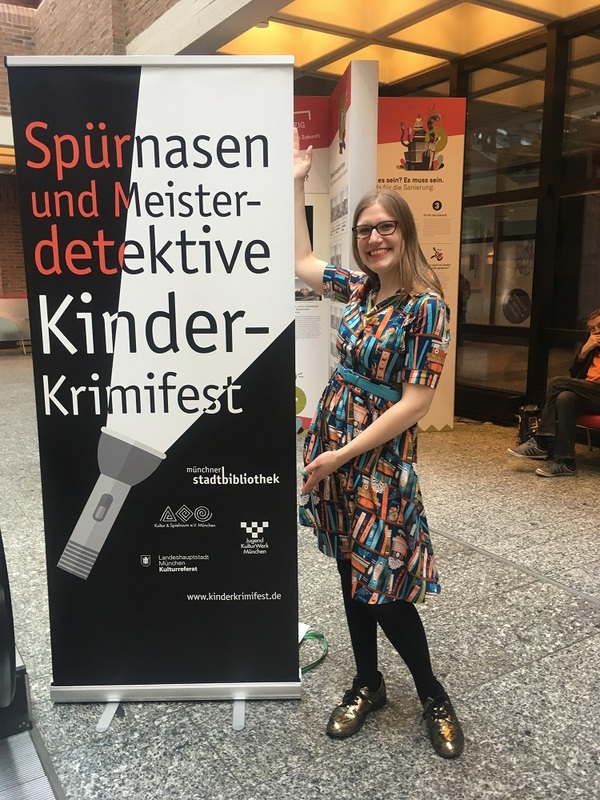 I was very lucky to be asked to be part of this year’s Kinder-KrimiFest in Munich – a city-wide celebration of crime fiction for children, run by Munich libraries! 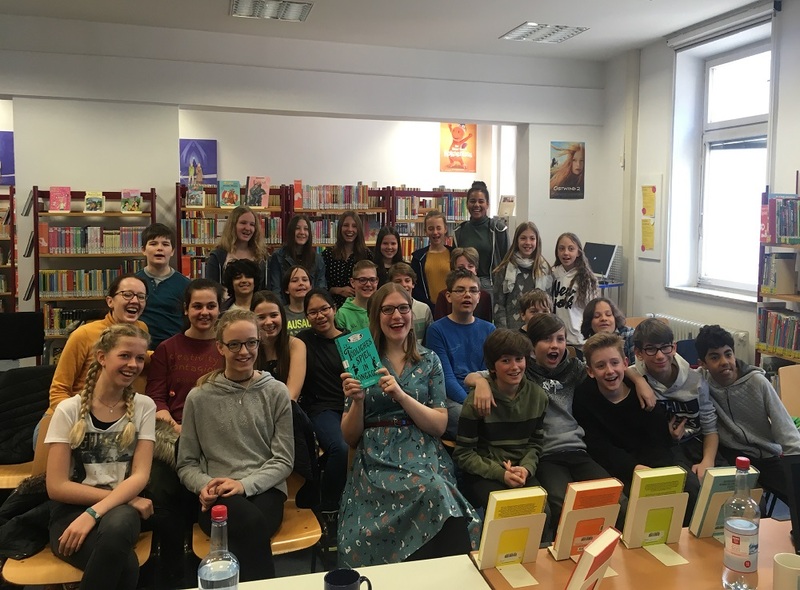 This was the first time I’ve visited Germany to speak about my books, and so I was very excited – and quite scared as well. 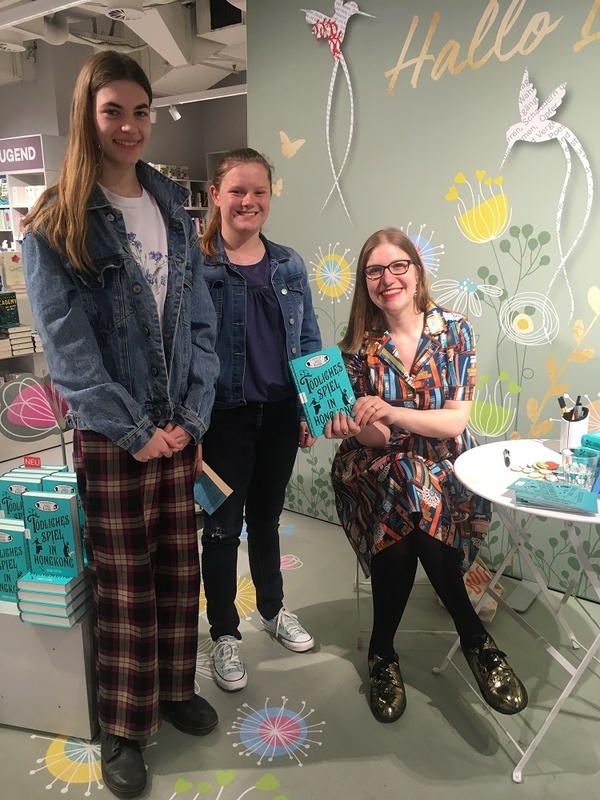 It’s always hard to know whether what I write about will translate into another language, and whether readers will really get excited about my books – and so I’m always excited to discover that they do! I had a wonderful time in Munich. Everyone was so welcoming, and the city is absolutely beautiful. 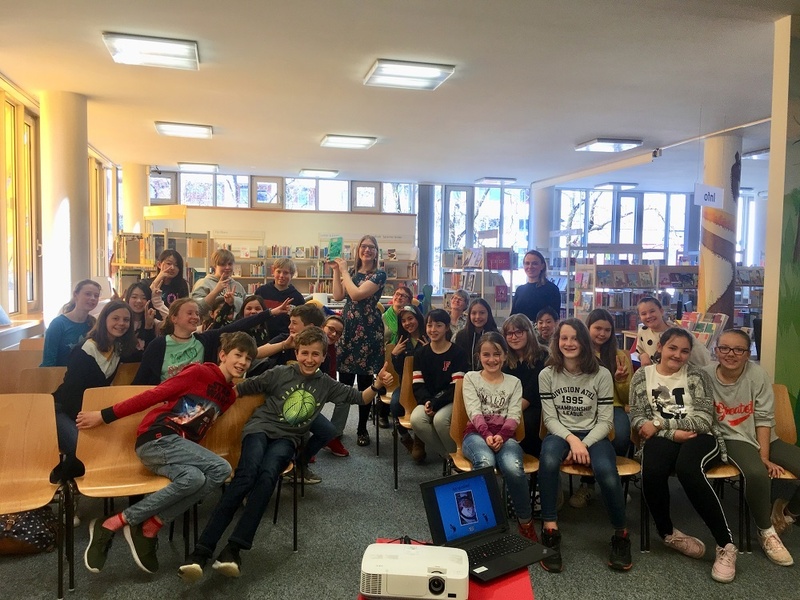 I want to send a huge thank you to Frau Wittl and the other librarians who hosted me, to my amazing publishers Knesebeck Verlag and my translator Nadine Mannchen, and of course to everyone who came along to my talks! 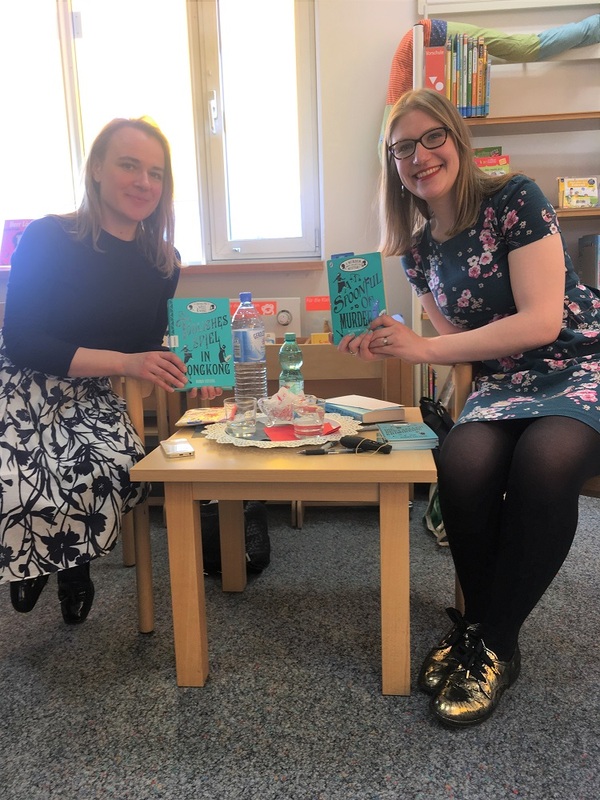 I worked with Theresa Hanich, an incredible actress, at each event, and I couldn’t have managed it without her – mein Deutsch ist sehr schlecht, and so she read my book extracts in German and explained what I was talking about! Some of my favourite photos are below – if you want to see more about what I got up to, follow my Instagram account. It was a wonderful trip, and my Spring 2019 events have begun in style! With Theresa – I couldn’t have done it without her! It looks like you had a wonderful time! I love all the dresses you are wearing- especially the book one! My sister has been to Munich but I haven’t, it would be good to go there on a weekend break or Berlin! It’s incredible to think that people from all around the world are reading your books and that you have the opportunities to go and visit different countries as part of your Job. I think you may have one of the most exciting jobs in the world!